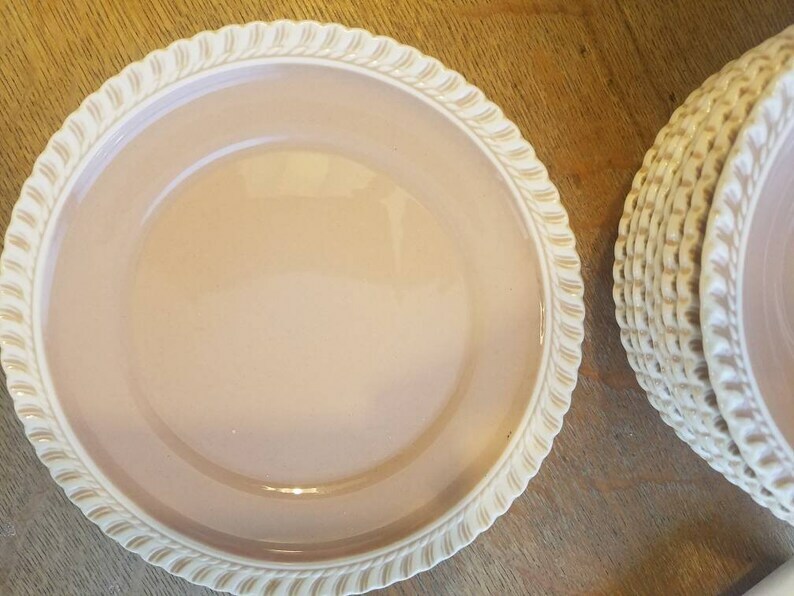 This listing is for one saucer Plate. 6 1/4" round Good vintage condition with no chips or cracks. They do have some mild crazing. The Harkerware Pottery Co. Was founded in 1840 in Ohio. They produced many types of pottery and dinnerware. The company was sold in 1969 and closed in 1972 leaving a legacy of beautiful things.